Shh, can you hear that? It’s the sound of all your favourite phone manufacturers gearing up to release new devices in 2017. Those pesky phone manufacturers are pretty secretive though, which means we have to rely on the internet tech rumour mill to find out what they’re working on. 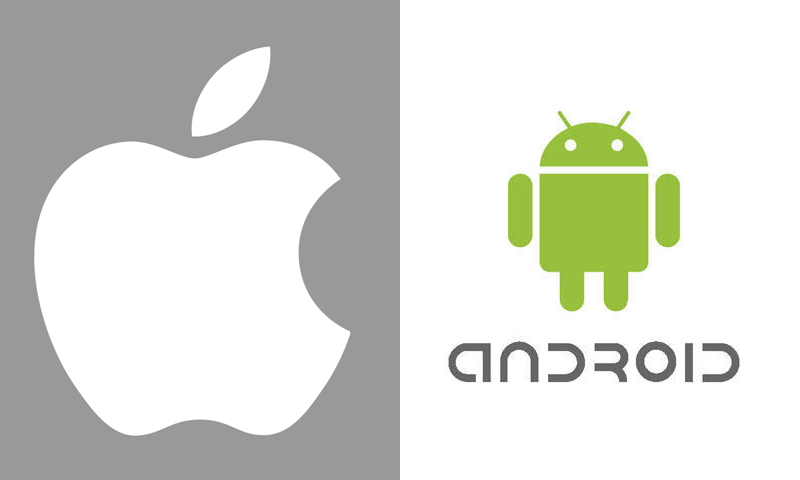 Fortunately, various sources have been churning out plenty of juicy smartphone gossip over the past couple of months. So, without further ado, here are some of the new smartphones you can expect to see in 2017. Remember, you can always sell your mobile phone to us if you need extra cash to upgrade! History suggests that Apple will release the iPhone 7s this year, but this isn’t a normal year in Cupertino. 2017 marks the iPhone’s 10th birthday and we’d be shocked if Tim Cook and co didn’t release something very special indeed to celebrate. Also, Apple has used the ‘iPhone 6’ design for three years now and the murmurs of discontent are getting louder – especially as Samsung just unveiled the hugely impressive Galaxy S8. So, will Apple deliver? As ever, Apple hasn’t released any details on their new device yet but there are more than a few juicy rumours doing the rounds online. The Apple rumour mill is fairly hit and miss, so take the following paragraphs with a pinch of salt… although feel free to get a little excited too! The hottest rumour at the moment is that the iPhone 8 will have a 5.8inch curved AMOLED display which will stretch edge-to-edge with practically no bezels. That seemed a little implausible at first, but the fact Samsung have done pretty much the same thing with the Galaxy S8 makes it much more plausible. Plus, one of the main proponents of the rumour is KGI analyst Ming-Chi Kuo , one of the most reliable Apple sources around. Now for the bad news: that display may not feature on all iPhones. Instead, Apple may only include it on the iPhone 8 Plus or a third, even more premium model (rumoured to be called the iPhone 8 Edition). New features may include biometric security, wireless charging and the now standard performance chip boost. The iPhone 8 is likely to retain the 12 megapixel rear camera with some additions, with the dual lens remaining a Plus only feature. Apple is apparently investing heavily in augmented reality too, although how this will be used remains to be seen. One thing the iPhone 8 almost certainly won’t have is a headphone jack. Despite some early backlash, the iPhone 7 has done perfectly well without one and Apple is unlikely to take a step back. All in all, the iPhone 8 looks set to be the biggest overhaul of the iPhone design since 2014. Or, you know, Apple could just release the iPhone 7s and be done with it. Only time will tell! Samsung had a terrible 2016, with the Note 7 debacle overshadowing some brilliant devices. Fortunately, 2017 is already looking brighter thanks to the fantastic Samsung Galaxy S8. The Galaxy S8’s headline feature is the ‘Infinity Display’, a practically bezel-less screen that wraps around both sides of the device. It looks incredible and really sets the device apart from its competitors. The standard S8 has a 5.8” Infinity Display, while the S8+ (the Edge branding has gone) has a huge 6.2” display. To make way for the huge displays, the physical Home button has been replaced by a virtual pressure-sensitive alternative. The other big new feature is Bixby, Samsung’s brand new personal assistant. Bixby learns, evolves and adapts to your needs, and can understand contextual commands too. It also has the ability to ‘see’ using your camera, which is way less creepy than it sounds. Samsung have also added an iris scanner, improved the 12 megapixel rear camera with a dual pixel sensor and boosted the front-facing camera to 8 megapixel. The only real downside is the price: the standard model is a steep £689, while the S8+ will set you back a bank-account-busting £779. If you need extra cash to upgrade, sell your Samsung Galaxy with musicMagpie first! After a couple of gloomy years, HTC had a decent 2016. The HTC Vive went down well, they teamed up with Google to manufacture the Pixel and, most importantly, the HTC 10 was fantastic. Sadly, it didn’t sell anywhere near as well as its predecessors and new competitors like Huawei are starting to ramp up the pressure. HTC need a hit – and the HTC 11 could be it. 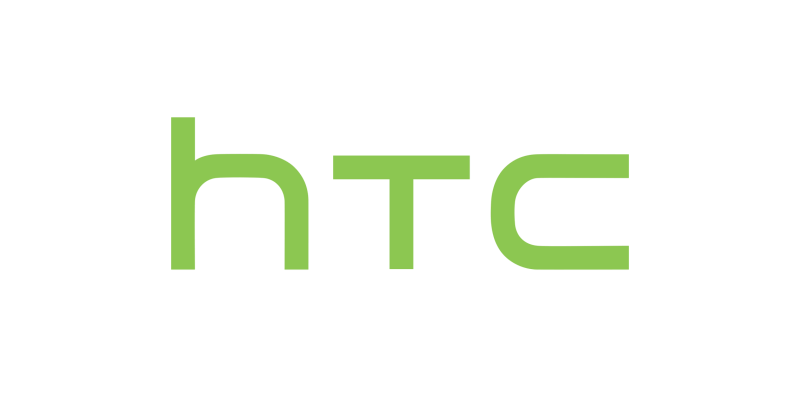 We need to address the name before we get onto details though, as HTC’s new flagship may not actually be named the HTC 11. Rumours suggest it’ll be part of a new range called Ocean, although a recent HTC event invite points towards it being called the HTC U (or the HTC U Ultra). Whatever it’s called, it will apparently be one of the most powerful phones ever thanks to a Snapdragon 835 processor, 8GB of RAM and 256GB of storage. Sweetening the deal will be a 5.5 inch Quad HD screen and Quick Charge 4.0. We expected HTC to reveal the 11 (or whatever it’s called) at Mobile World Congress but that passed without incident. It’s now rumoured it’ll be revealed in mid to late April, with a release date set for sometime in May. LG love an experiment. Last year’s G5 was the first mainstream modular device, while previous years saw the Korean giants introduce quad HD screens and…erm, weird leather back panels. 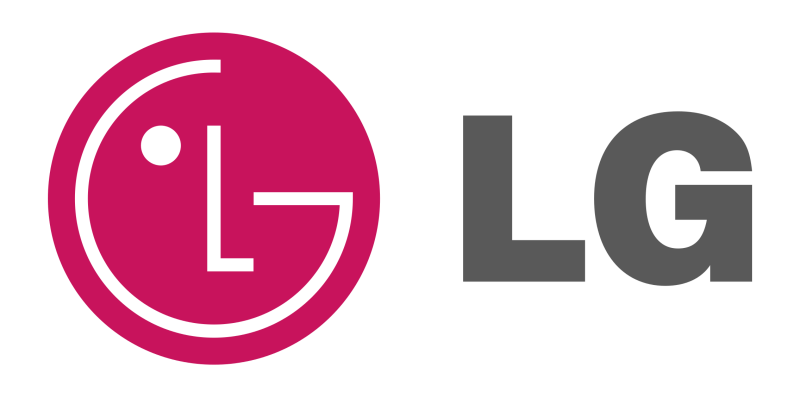 This year, though, LG have gone back to basics. Announced at Mobile World Congress 2017, the LG G6’s marquee feature is a honking great 5.7” Quad HD screen with an unusual 18:9 ratio. The G5’s modular design has been dropped entirely, with the G6 boasting a classic metal and glass build that looks smart if not massively exciting. It’s available in three colours: Ice Platinum, Astro Black and Mystic White. Under the hood, the G6 has 32GB of internal storage with the option to boost with a microSD card (up to 2TB) as well as 4GB of RAM and a Snapdragon 821 processor. It also retains the same two camera set-up as the G5 with some improvements, including a bumped up 13 megapixel camera. The US version will also have wireless charging, a feature annoyingly left out of the UK model. Poor old Microsoft haven’t had much luck with phones over the past couple of years, despite releasing a couple of cracking devices. Late last year, they announced the end of the Lumia line for good – but that doesn’t mean they’re done with mobile phones. The Microsoft Surface phone is something of an urban legend at this point, frequently mentioned even though it might not exist. If it does exist, there’s a strong chance the focus will be on productivity – much like its tablet big brother. Rumours suggest it’ll feature a 5.7” Quad HD AMOLED screen, up to 8GB RAM and potentially a whopping 500GB of storage. It’ll also be closely tied into the rest of the Windows 10 ecosystem, syncing with its Windows counterparts through Continuum. Again, at this point the Windows Surface phone is merely a myth. Hopefully it’ll become reality later this year. Expected release date: Some point this year. Hopefully. OnePlus have carved a nice little niche for themselves over the past few years, selling limited runs of their immensely powerful devices at a fraction of the prices charged by their competitors. There’s no doubt another OnePlus device will come out this year, but there is some doubt over what it’ll be called. 4 is the obvious choice but it’s considered an unlucky number in OnePlus’ native China, to the extent that it’s regularly avoided in in Chinese society (buildings and hospitals often have no fourth floor, for example). So, the OnePlus 4 may actually be named the OnePlus 5, even though it’s technically the 4th model in the OnePlus range. Name aside, the next OnePlus could boast some seriously impressive specs including a Snapdragon 835 processor, a 5.5” Quad HD screen and a massive 8GB of RAM. It may also include a 21MP dual camera, a glass or even ceramic build and a 4000 mAh battery. It’s likely to cost a lot less than the other phones in this post too, although you’ll have to register your interest early as OnePlus devices often sell out fast. Don’t worry, you haven’t slipped into a time portal; the Nokia 3310 really is one of the most anticipated phones of 2017. 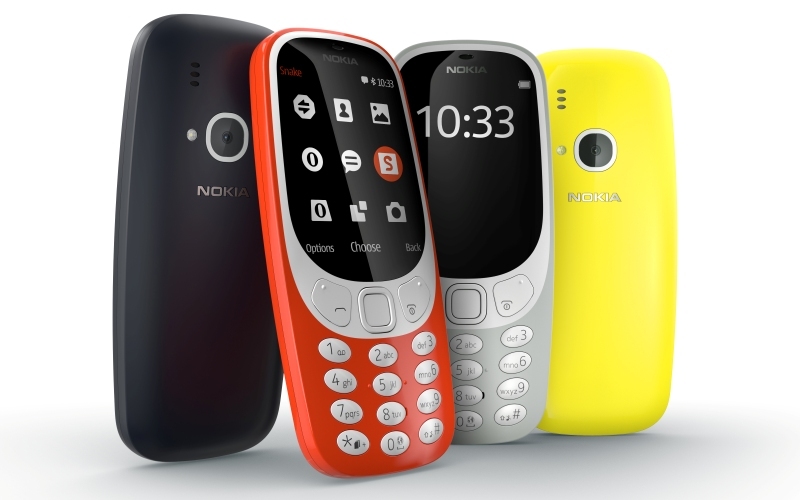 Unveiled at Mobile World Congress, the new Nokia 3310 takes everything people loved about the original – Snake, the indestructible design, Snake – and adds a few modern nick-nacks like a 2 megapixel camera and a microUSB port. The 3310 also features an old school keyboard, a slightly modified version of the original 3310 software and a battery that lasts an entire month on standby. In an even more stunning commitment to nostalgia, Nokia have omitted 3G and Wi-Fi entirely – just like the good old days! Essentially, it’s a 3310 with a modern twist. If you want a dumb phone that’ll inspire curiosity rather than laughter and ridicule, this is the phone for you. …did we mention it has Snake? The Pixel was one of 2016’s more pleasant surprises, the first phone designed entirely by Google (with manufacturing assistance from HTC). It went down extremely well in the tech press and is likely to get a sequel this year as a result. Rumours are very thin on the ground at the moment, although you can expect similar specs to 2017’s other Android flagships. The main criticism people had for the Pixel was its similarities to other devices on the market. This could be because of the limited design time Google had , so hopefully the Pixel 2 will look a little more unique and maybe offer some unique features too. Regardless, this is likely to be the purest Android experience of 2017. Which phone are you most excited about this year? Let us know in the comments! And when it’s time to upgrade, remember to sell your iPhone (or any other device) with musicMagpie; not only will you get a great price, but it’s totally free and you’re guaranteed to get the first price we offer! 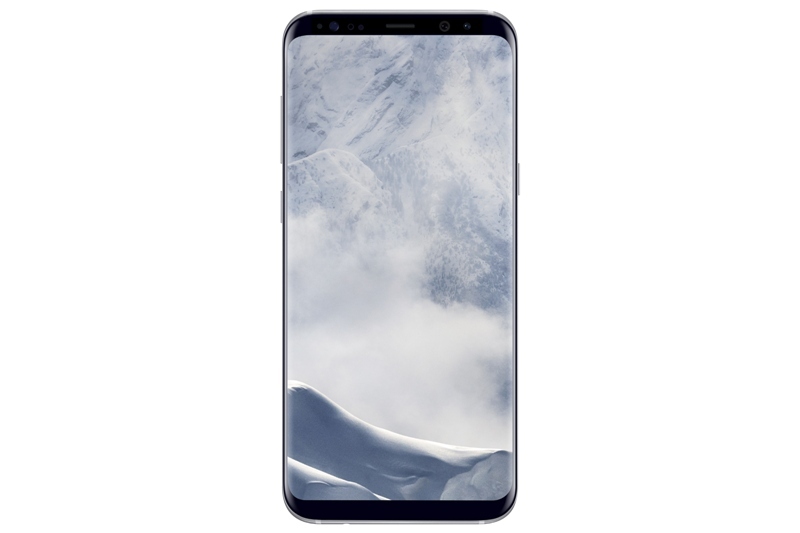 If you’re looking for a great value device right now, check out the huge range of mobile phones on the musicMagpie Store – it’s one of the cheapest places to buy iPhone, Samsung and HTC devices, plus you’ll get FREE delivery too! Google Pixel: is it the best Android phone to date? ← Is the new iPad worth it?